You're Hired - For, you know, whatever. 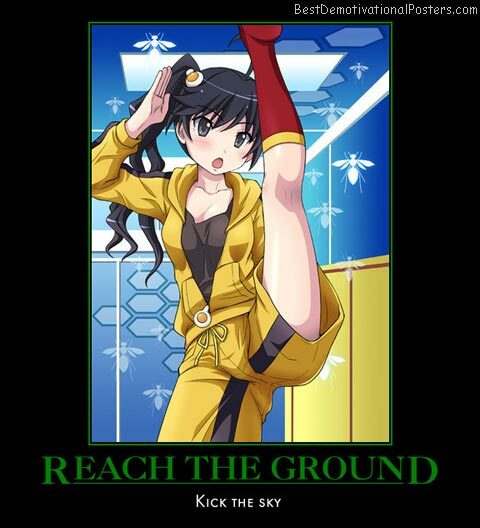 Reach The Ground - Kick the sky. 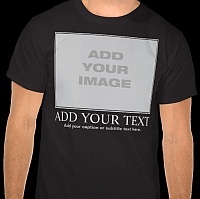 Back To School - Now that's worth some extra credit! 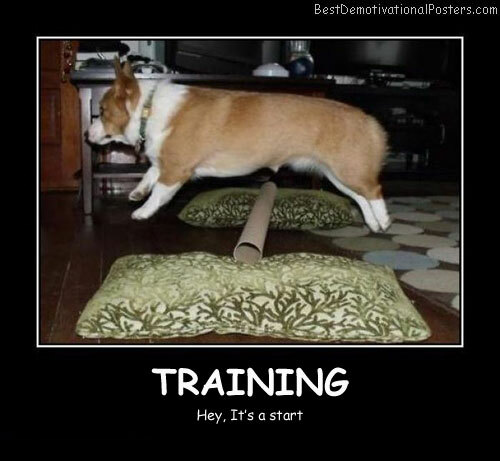 Training A Dog - Hey, It's a start. 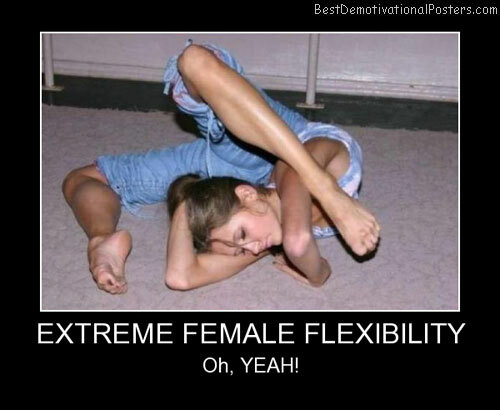 My Yoga - Made for women, liked by men. 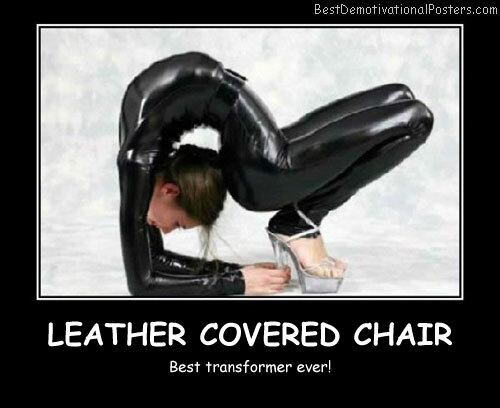 Hard Working Out - Suddenly I liked it! 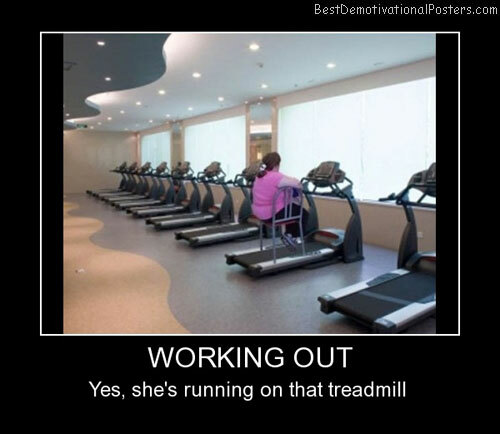 Exercise - It does a body good. 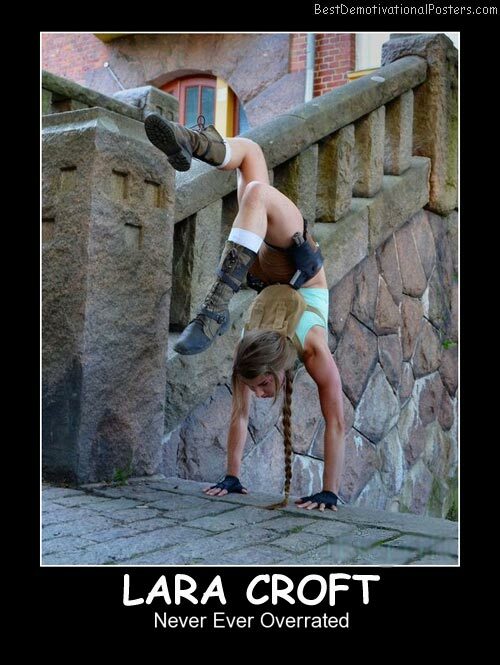 Lara Croft - Never ever overrated. 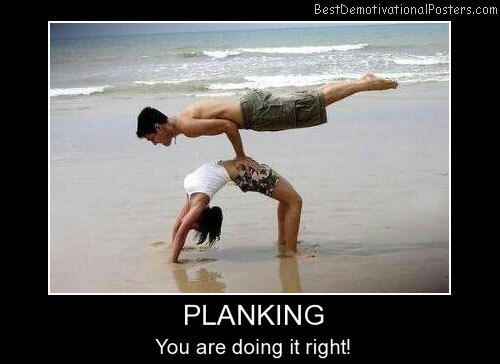 Planking - You are doing it right! 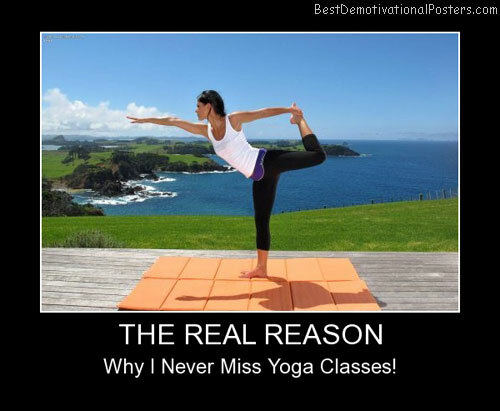 The Real Reason - Why I never miss Yoga classes! 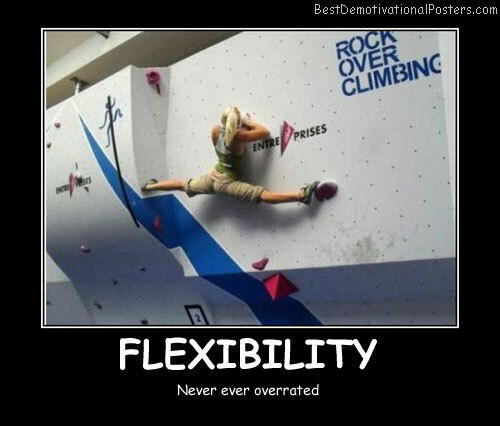 Stretching - It'll keep you fit.